What is our Premium Domestic Service ? 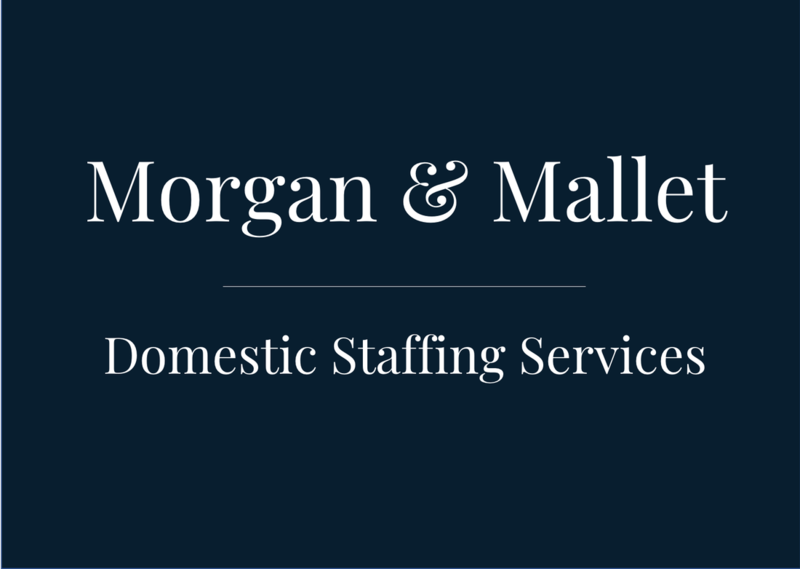 Morgan & Mallet is pleased to introduce the Premium Household Staffing Services. Our agency provides Head housekeeper/Housekeeper, Gardener/Houseman, House manager/Butler, Nanny/Governess, Chef/Cook, Personal Assistant, Caretaker/Domestic couple, Guardian, Companion, working part-time or full-time for your Estate, Apartment, Penthouse, Mansion, Castle, Chalet or Villa in France. Our Agency hire on your behalf experienced and highly qualified household staff. Morgan & Mallet Household Staff Services selects only household staff trained at 5 star hotels / Palaces or having significant experience in HNW & UHNW families. In addition to our high-end domestic staff services, you benefit from a Morgan & Mallet Assistant a personnalize management of your household staff. Your assistant will be responsible for coordinating services and providing daily assistance for your home or your secondary residence. Before providing our services, we offer a free visit to your residence in order to evaluate the needs of your household staff. Training and regular follow-up are carried out in order to continuously develop employee’s skills and ensure that they respect the policies and procedures in your home. Our services are offered for a minimum of 20 hours per week to ensure a high quality customised approach. We place household staff for individuals, businesses, professionals, family offices and luxury real estate agencies. Morgan & Mallet offers you the peace of mind due to our bespoke and flexible domestic staff services for your family and property. Exclusive high-standard home-based 5 star hotel service. Our household staff is trained in the largest luxury hotel or private household and is very experienced.